It’s the only dialysis unit in the world where the walls are painted purple, patients sing along to tunes from a karaoke machine, chickens scamper around the gardens and kangaroo tails smoulder on a fire pit. The Purple House in Alice Springs is an innovative Aboriginal-led model of care which is transforming the way Indigenous communities in central Australia live through end stage renal failure. The dialysis unit, which first opened its doors in 2007, was born when the Pintupi Luritja people at Kintore were concerned about family members having to leave their country and travel 550 kilometres to Alice Springs to receive dialysis treatment three days a week. Purple House CEO Sarah Brown said end stage renal failure was once considered a one-way ticket away from your own country to Alice Springs, only to return home for your own funeral. “People talked about life all being about waiting for their next dialysis day, missing their country, missing their family, just waiting to die really,” she said. With the dream of establishing their own dialysis service on country, community elders created four collaborative paintings which sold at auction for $1.1 million in 2000. The community then formed a ‘kidney committee’ and began researching dialysis services, eventually using the funds to establish a dialysis machine at Kintore in 2004, and another at the Purple House headquarters in Alice Springs. Their plight to help their own community has been such a success it’s expanded to other remote Aboriginal communities in need. The Aboriginal community-controlled initiative now has 22 dialysis machines spanning 10 remote places, from Yirrkala in Arnhem Land to Warburton, located half way to Kalgoorlie. It also has the Purple Truck - a mobile dialysis service with two dialysis machines that visits other remote communities and also returns patients to their country for visits, funerals and other community events. 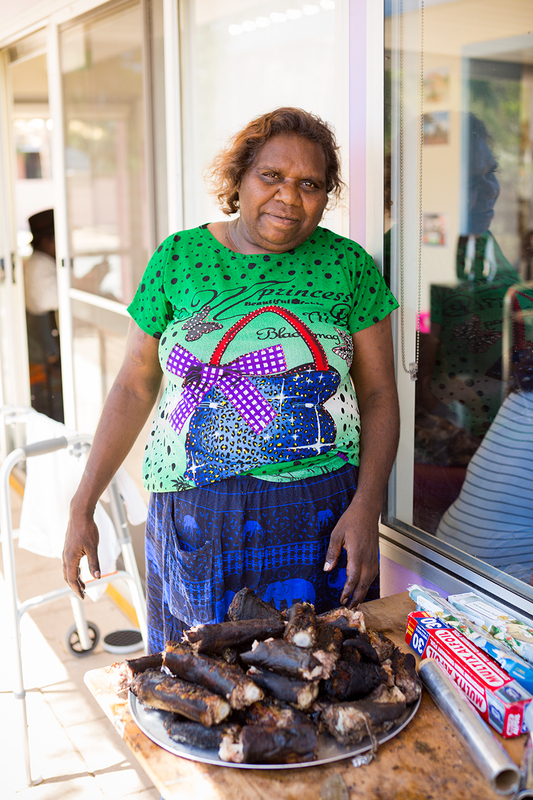 With rates of kidney disease in remote desert communities 15 to 30 times higher than the national average, Ms Brown said Purple House is prolonging patients’ lives in a culturally-rich, non-clinical environment. “From that little idea of having a dialysis machine in Kintore, our Western Desert model has really changed how people think about service provision for dialysis out bush,” she said. “It’s a community-controlled model and holistic model, which includes wellbeing and bush medicine and valuing family and country. Purple House has received Federal Government funding to expand, and is preparing to open more dialysis units at Ernabella in South Australia and at Ampilatwatja, in the Utopia region of the Northern Territory. Amid a national and international shortage of dialysis nurses, Remote Area Health Corps (RAHC) is partnering with Purple House to place dialysis nurses at its services in remote communities. RAHC General Manager Philip Roberts said RAHC is thrilled to support Purple House move into the next stage of its development. “Purple House has achieved tremendous success,” he said. Ms Brown said Purple House offers dialysis nurses a rare opportunity to work outside hospitals. “We can offer nurses an experience that very few people get to see, where going out digging for witchetty grubs is a legitimate part of your job,” she said.